BookingCenter will refund the full cost of any PMS product or 20Interface or Module within 30 days for any reason whatsoever. Any setup/training/installation fees bundled in a Package are NOT refundable after purchasing. Please read below for specifics on our Guarantee policies as relates to software, setup/training fees, third-party services, and hardware purchases. MyPMS and the Channel Manager are usually sold in packages that include complete setup and training for the ‘trainer’ and/or staff. These fees are non-refundable. BookingCenter provides unlimited, fully functioning demonstrations of both MyPMS and the Channel Manager for evaluation, so please ‘try before you buy’ and contact a sales representative for help in your evaluation. We provide complete documentation and manuals to help assess if MyPMS or the Channel Manager are right for your needs. Payment for the actual software service (the monthly fee) begins after you have been trained. Any monthly fees will be refunded, ‘no questions asked’, within 30 days of your training, but the setup and training fees (if you don’t choose the ‘self-setup option) are non-refundable. If you are unsure if your computers or internet speed are able to properly use these Internet, or ‘cloud applications’, utilize the demos from your actual location, prior to purchasing, so there are no surprises. We will credit software fees paid to migrate to/from MyPMS to/from the Desktop system (or vice versa) in the event your computer infrastructure requires it. 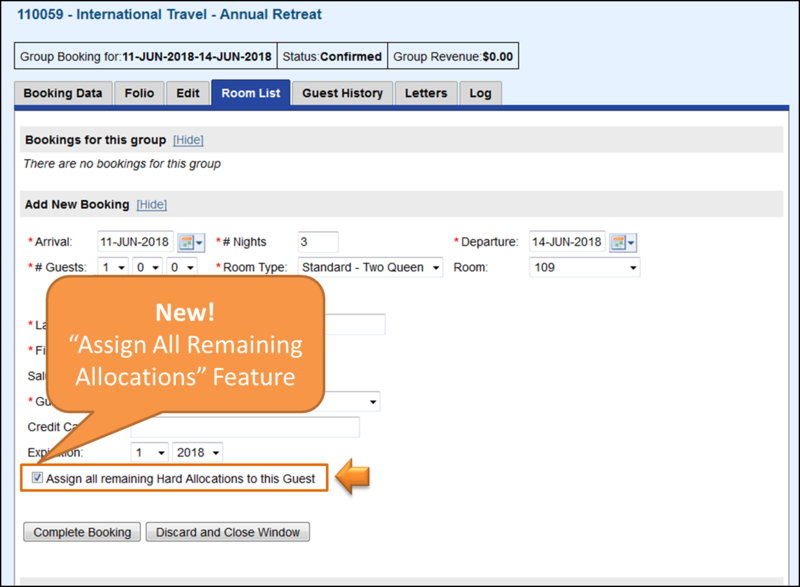 To prove just how flexible the Desktop system is, we offer a ‘no questions asked’ refund policy within 30 days of purchasing BookingCenter Desktop PMS software. BookingCenter provides a 45-day, fully functioning demonstration version of the BookingCenter Desktop PMS software by download . We provide complete documentation and manuals to help assess if BookingCenter Desktop PMS is right for your business needs. If you purchase a Call Accounting, Guest Services Module, or a Point of Sale Module from BookingCenter that includes a third-party software license such as Authorizenet, Metropolis, or LodgingLink, there are NO REFUNDS beyond the 30 days for any reasons whatsoever. Hardware purchased from BookingCenter, including a Complete PC System or Point of Sale hardware, may be returned within 15 days of purchase, regardless of receipt date by the customer. There are NO refunds on hardware after 15 days from payment. Shipping fees can not be refunded. BookingCenter solutions rely on third party software to complete a Call Accounting, Guest Services, or Point of Sale system. These third-party software licenses may be returned within 30 days of purchase, regardless of receipt date, or installation date, by the customer. There are NO refunds on third-party software licenses after 30 days from payment. Any fees associated with setup (the entire cost of the MyPMS and Management Tool ‘initial costs’ packages for example), training, travel costs, installation or setup of a BookingCenter solution are NOT REFUNDABLE after such service has been rendered. The reason is obvious – if BookingCenter personnel are setting your property up, providing web- and/or phone- based training to you and your staff; on-site training; or installing a system at your location, these costs are sunk and can never be returned. For this reason, BookingCenter CAN NOT refund these costs. In the case of a MyPMS or Management Tool Package, the entire ‘initial cost’ is non-refundable. However, if any Support Contract has been purchased, BookingCenter will refund the unused portion of the contract (on a prorated basis) if canceled within 30 days of purchase. Occasionally we will make significant upgrades to the Desktop software (Pro and Lite). ‘Upgrades’ will have a version number change. For example, in May 2000, BookingCenter upgraded from version 3.7 to Version 4. In November 2003, BookingCenter upgraded from Version 4.48 to Version 5. Upgrades are significant improvements and may be fee-based, even for users with current Support Contracts. We will always provide free upgrades for users who purchased a BookingCenter product within 60 days and 1/2 price for those who purchased within 120 days. If you are considering purchasing BookingCenter for your property, then you’re minutes away from taking full advantage of a complete system designed from years of experience in the hospitality industry. Investment in a property management system is not an easy choice. The ‘change management’ required to migrate from a legacy approach to the BookingCenter is one that BookingCenter assures will be handled with professionalism and courtesy. Combining the unlimited web demos (MyPMS and Management Tools), the Desktop PMS 45-day downloadable demo, free support during your first 30 days, and the money back guarantee outlined above, BookingCenter is proving we work hard to assure your complete satisfaction. Download your free, fully functional 45–day copy of BookingCenter. Create a business around a local travel network. Similar to the Global Distribution Systems (GDS), the LDS works for a region or group of properties, deriving commissions from bookings made through any travel network.